At Smith Bonds & Surety, we often find our clients do not know how to obtain bail bonds or communicate effectively with a bail bondsman. Fortunately, our team is familiar with the bail bond process for many states. We help people obtain a fair bond so you can settle your case with minimum mental, emotional, and financial stress. What is a Bail Bond Service? As a bail bond service, Smith Bond and Surety helps defendants pledge money, or in some cases property, for court appearances following an arrest for a crime. The bail bondsman acts as a go-between and works with the defendant and court officials to ensure that state bail laws are followed and that a fair and reasonable bond amount can be posted. Depending on the state in which a defendant is incarcerated, the judge or magistrate will set a bond with or without conditions. The bail bond types below are controlled by taxpayer pretrial services. If the bond is set as a recognizance bond, the defendant will be released with just their signature and will need to return to court when called. If the bond is set as a supervised recognizance bond, the defendant will need to check in with a supervisor that the court names to make sure they are where they say they are at all times. If the bond is set as a monitored recognizance bond, the defendant will be ordered to wear an ankle bracelet and monitored at all times. They must not only appear in court but will be limited on the distance they can travel. Property – If the defendant owns property in the county in which charges are being pressed they can have the court put a lien on it for twice (x2) the amount of bail. Cash – Defendants with the means to do so can also choose to put up the full amount of the bond in cash. When the case is over and the defendant has appeared at all court hearings, they will get that money returned to them by the court. Bail Agent – Defendants without property or cash can hire a bail agent for a fee of 10% of the bond. The money can be paid in installments or in full and someone (usually a family member) has to put up collateral and indemnify the agent/agency of any loss that occurs. For instance, failure of the defendant to appear at all court dates will prompt the bail agent to return the defendant (fugitive) to justice. If the fugitive is not able to be located within a certain period of time, the agent will pay the full amount to the court and the indemnitor will be required to reimburse the agent. 10% deposit – Is when the judge or magistrate allows the defendant or a loved one to put up 10% of the bond with the court. The court is required to make sure the person signing has sufficient surety for the full amount of the bond. 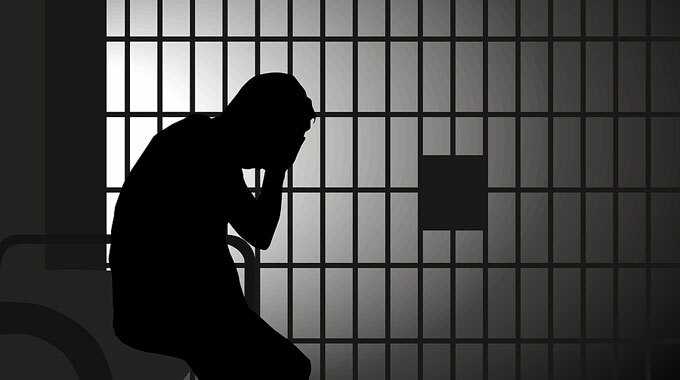 If the defendant or loved one, doesn’t have the 10% and or cannot afford the bond then they can hire a bail agent and begin an installment plan on the 10%. In Michigan, if the bond is set at 10%, the bail agent can write the bond for 1/4 of the full amount of the bond. So the $10,000 bond will automatically become $2,500.00 to the bondsman and the 10% required by you the defendant or indemnitor is now only $250.00. This has been wonderful for the indigent and has helped many get out of jail quicker which in turn helps taxpayers as well as the defendant. There are other conditions of bail the court may impose and those are in conjunction with the above types of bail. Smith Bonds & Surety serves clients in several states, including Ohio, Michigan, and Pennsylvania. However, we can work with you whether or not you live in one of our service areas. When you ask, “Where are the bail bondsmen near me?” think Smith. Call or email us at any time for a free consultation.